The simulation an interactive tool that helps people understand the connections among racial equity, hunger, poverty, and wealth. It is a good first step for people unaware of structural inequality, a support tool for those who want a deeper understanding of structural inequality, and a source of information for experts who want to know the quantifiable economic impact of each policy that has widened today’s racial hunger, income, and wealth divides. 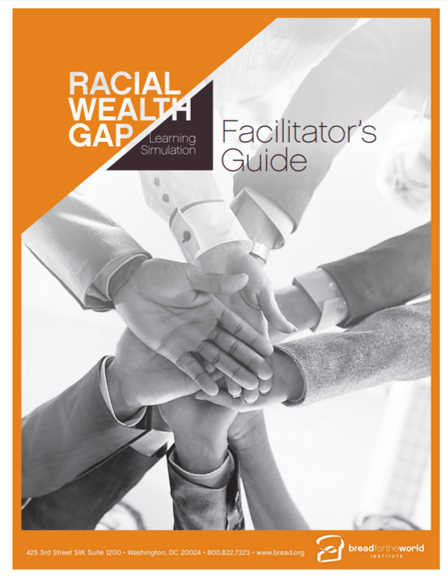 The simulation helps people understand the connections among racial equity, hunger, poverty, and wealth. In the simulation, participants learn how federal policies created structural inequalities—property ownership and education are just two among many areas affected—and how these policies increase hunger and poverty in communities of color. The simulation guides participants to an understanding of why racial equity is so important to ending hunger and poverty in the United States. Our hope is that participants, in becoming more aware of structural inequality, can support policies that undo and/or reduce disparities. 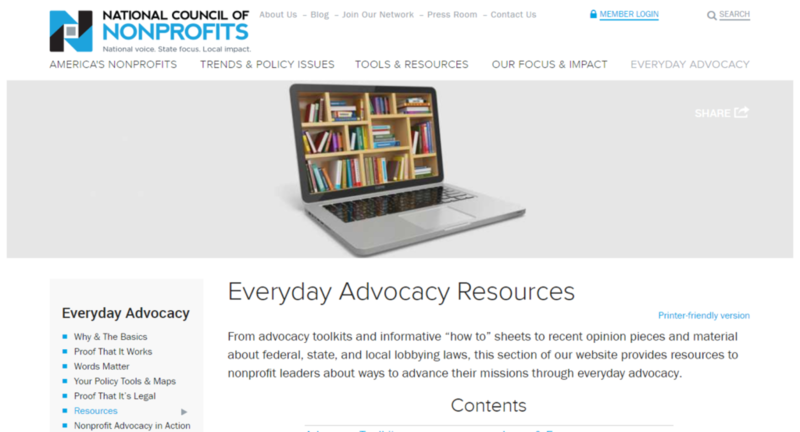 From advocacy toolkits and informative “how to” sheets to recent opinion pieces and material about federal, state, and local lobbying laws, this section of the National Council of Nonprofits website provides resources to nonprofit leaders about ways to advance their missions through everyday advocacy.